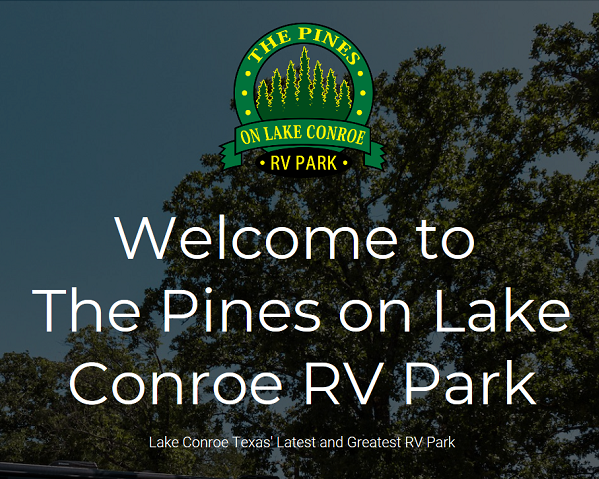 The Pines on Lake Conroe offers spacious sites for any size RV. We offer 30′ x 50′ and 30′ x 40′ for your convenience. Not all RV Parks are created equal. Reliable electric and sewer is standard here at The Pines on Lake Conroe. Staying connected is important these days, that is why The Pines on Lake Conroe offers free state of the art wifi. Need to take care of some laundry while you stay with us? We’ve got you covered with our onsite laundromat.